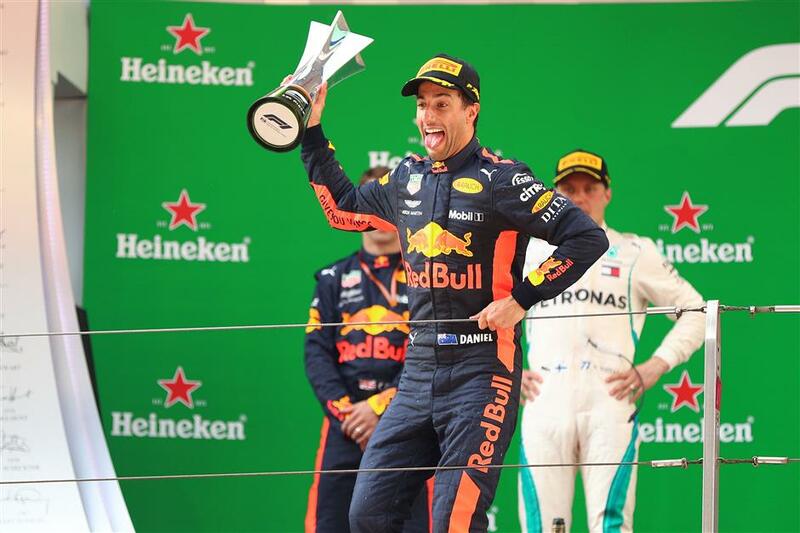 Red Bull's Australian driver Daniel Ricciardo celebrates on the podium after winning the Formula One Chinese Grand Prix in Shanghai on April 15, 2018. 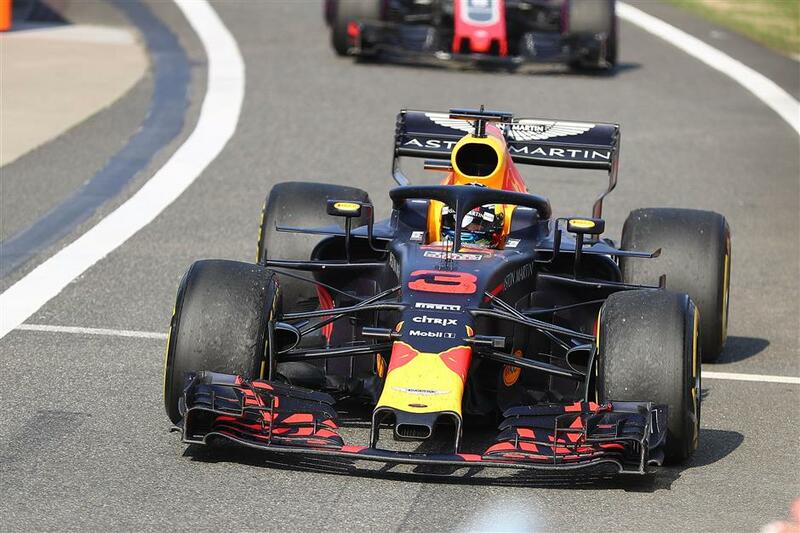 Red Bull's Daniel Ricciardo won a sensational Chinese Grand Prix in thrilling style on Sunday when he stormed through the field from sixth place after taking on fresh tyres under a safety car. Defending world champion Lewis Hamilton crossed the line fifth behind Verstappen but was promoted to fourth after the Dutchman's penalty was applied. Red Bull's Australian driver Daniel Ricciardo drives during the Formula One Chinese Grand Prix in Shanghai on April 15, 2018. 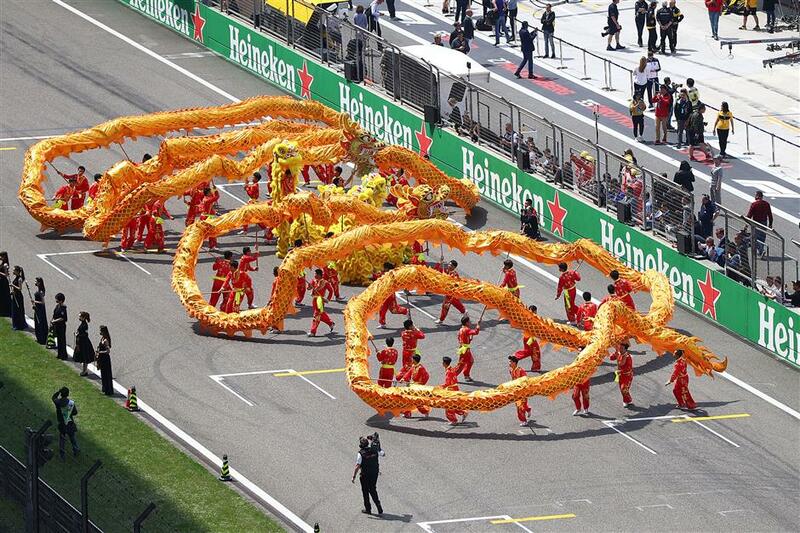 A dragon dance is performed at the opening ceremony of the Formula One Chinese Grand Prix in Shanghai on April 15, 2018.